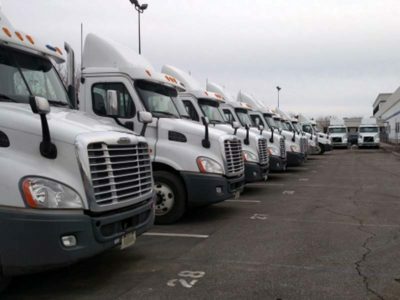 Do you manage a fleet of trucks? We know you’re busy and the last thing you likely want to be doing is researching diesel truck fuel services. 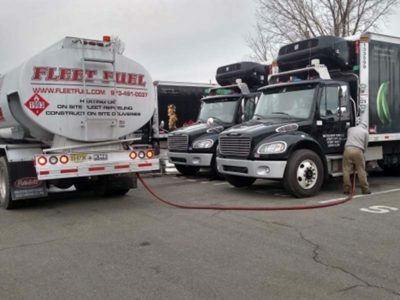 Having been in the business of diesel fuel delivery for four decades, Fleet Fuel thoroughly understands the needs of a company like yours. If you operate a medium to large truck fleet, much of your time and money is spent on constantly refueling those diesel trucks. It’s hard enough just trying to keep your truck drivers productive. Our on-site truck fleet fueling service helps you turn that ongoing hassle into an automated process, freeing you up for more important tasks every day. The true cost of refueling your diesel truck fleet. Whether you refuel your truck fleet at your own pumps or at a truck stop, your business is actually losing money each year. Assume that you have 100 vehicles refueling 3 times a week. With drivers pay and benefits at $25 an hour, it’ll cost you $130,000 a year in addition to the actual cost of the fuel. If each fueling in this example averaged 50 gallons, the TRUE COST of this fuel is $.16 HIGHER than the price shown at the pump. Your operators start the day with a truck ready to go.